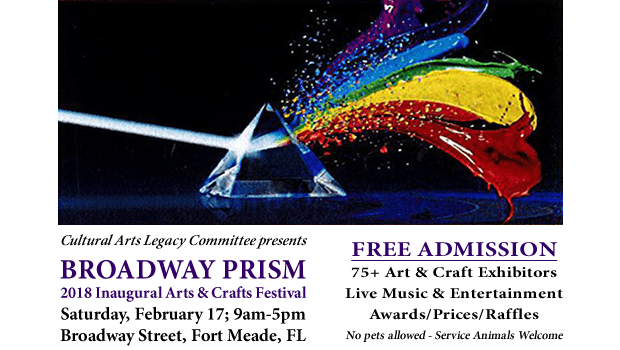 The Cultural Arts Legacy Committee presents BROADWAY PRISM, 2018 Inaugural Arts & Crafts Festival on Saturday, February 17, 9am-5pm. There are 75+ arts and crafts exhibitors, live music and entertainment, as well as awards, prizes and raffles during the event. 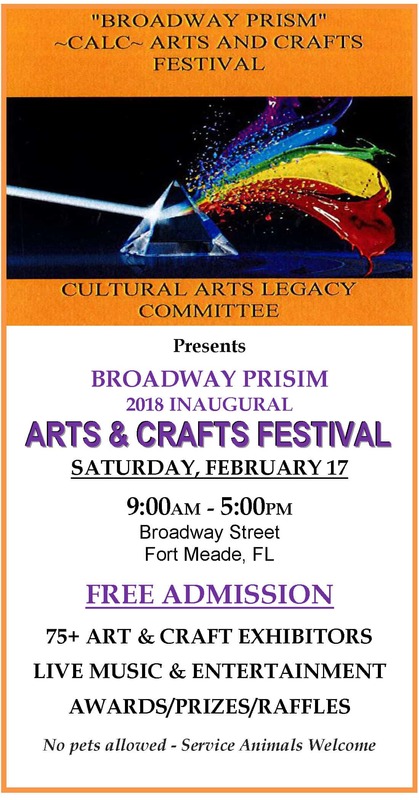 The Festival takes place on Broadway Street in downtown Fort Meade, Florida. No pets are allowed, however service dogs are welcome.